Melissa Lane is the Class of 1943 Professor of Politics at Princeton University, and director of the University Center for Human Values. She is also an associated faculty member in the Department of Classics and the Department of Philosophy. She is co-convenor of the Climate Futures Initiative, supported by the Princeton Institute for International and Regional Studies, the Princeton Environmental Institute, and the Andlinger Center for Energy and the Environment, and is a member of the Climate Change Working Group of the Social Sciences Research Council, as well as a member of the executive committee of Princeton’s Program in Classical Philosophy, and a trustee of Princeton University Press, the editorial board of which she is chairing in 2018-19. She was awarded a 2015 Phi Beta Kappa Teaching Prize at Princeton University. In 2018, Melissa Lane delivered the following named lectures: the Carlyle Lectures (University of Oxford); the Sir Malcolm Knox Memorial Lecture (University of St Andrews, Scotland); the Fifth Annual Joint Lecture of the Royal Society of Edinburgh and the Royal Institute of Philosophy (Edinburgh, Scotland); the Philip Hallie Lecture, Wesleyan University; the Gerald F. Else Lecture in the Humanities, University of Michigan; and the Charles McCracken Distinguished Guest Lecture, Michigan State University. She also served as the Lucy Shoe Merritt Scholar in Residence (American Academy in Rome). Similar honors in the recent past include delivering the keynote lecture for the 2016 London Graduate Conference in the History of Political Thought; the annual public lecture of the Centre for Political Philosophy at the University of Leiden; the 2015 Chapman Lecture at the University of Auckland; and the 2015 Hood Lecture, also at the University of Auckland. She has received a Fellowship of the John Simon Guggenheim Foundation in the field of classics. Recent public contributions include a seminar for the Civil Service Leadership Academy in London; a panel discussion at the Getty Villa in Los Angeles co-sponsored by the J. Paul Getty Museum and Zócalo Public Square; and periodic participation in the BBC Radio Four series ‘In Our Time’ with Melvyn Bragg, most recently discussing Cicero’s political philosophy. Edward W. Felten is the Robert E. Kahn Professor of Computer Science and Public Affairs at Princeton University, and the founding Director of Princeton’s Center for Information Technology Policy. He is a member of the United States Privacy and Civil Liberties Oversight Board. In 2015-2017 he served in the White House as Deputy U.S. Chief Technology Officer. In 2011-12 he served as the first Chief Technologist at the U.S. Federal Trade Commission. His research interests include computer security and privacy, and technology law and policy. He has published more than 150 papers in the research literature, and three books. He is a member of the National Academy of Engineering and the American Academy of Arts and Sciences, and is a Fellow of the ACM. In 2004, Scientific American magazine named him to its list of fifty worldwide science and technology leaders. Chloé Bakalar is an Assistant Professor of Political Science at Temple University and Visiting Research Collaborator at Princeton’s Center for Information Technology Policy (CITP). She is a political and legal philosopher with a background in empirical social science. Her research interests include: ethics and public policy (esp. IT ethics), normative ethics, democratic theory, modern political thought, contemporary political thought, American political thought, the history of ideas and public law (esp. First Amendment). She is currently completing a book manuscript, Small Talk: The Socialities of Speech in Liberal Democracy, which explores how experiences of “everyday talk” may produce positive or negative effects on democratic citizens and institutions in accordance with the norms and rules of those spaces in which it occurs. Prof. Bakalar is also working on several additional research projects explicitly at the intersection of AI, ethics and political philosophy, with the aim of improving understandings about the impacts of these technologies on society. In one such paper, “Programming Deliberation,” she considers social media’s large-scale adoption of automated content moderation algorithms (ACMAs) that prioritize “like-able” content in terms of its effects on democratic values, arguing that the liberal principles often underlying the development and deployment of these AI tools promote real democratic harms. A second ongoing project challenges the now-common “AI ethics” framing, by showing that debates in this field are neither purely about AI—but also the social, economic and political contexts in which such systems operate—nor ethics—but also intractable problems of politics and economics—and arguing for a more comprehensive political theory of AI that provides a sharper focus on institutions and their incentive structures at both the micro- and macro-levels. A third forthcoming paper uses legal and political theory frameworks to develop an account of “public goods” in the context of certain types of AI, focusing on the question of what it means for a technology to be “necessary” to the protection of basic rights of citizens. 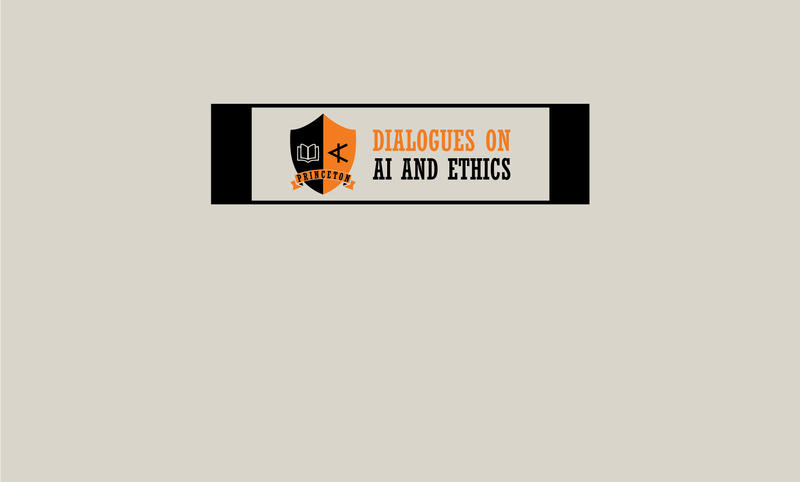 Prof. Bakalar has been with the Princeton Dialogues on AI and Ethics since its founding in 2017. In addition to her involvement with the Dialogues’ inter-university collaborations, workshops and public conferences, she is the project lead for the case studies and other educational initiatives, including the glossary of technical terms and curriculum development. Prof. Bakalar was previously a Values and Public Policy Postdoctoral Research Associate the University Center for Human Values (UCHV) and the Center for the Study of Democratic Politics (CSDP), as well as a Senior Research Specialist at CITP. She received her Ph.D. from the University of Pennsylvania and her B.A. from New York University. Ben Zevenbergen is a visiting Professional Specialist at the Center for Information Technology Policy at Princeton and a D.Phil candidate at the University of Oxford’s Internet Institute. His work is focuses on the intersection of computers/algorithms/networks/ and law/policy/philosophy. He has approached this intersection as a practicing lawyer, a policy advisor at the European Parliament, a researcher on various multidisciplinary research consortia. His task at Princeton is to help set up a collaboration between the Center for Information Technology Policy and the University Center for Human Values. The Princeton Dialogues on AI and Ethics are one of the fruits of this collaboration. Ben is still finishing his Ph.D thesis on the research ethics for projects involving unsuspecting Internet users ot the University of Oxford and holds an LLM in Information Law from the University of Amsterdam. Annette Zimmermann is a Postdoctoral Researcher at the Center for Information Technology Policy in the Woodrow Wilson School and at the University Center for Human Values (Princeton University). Her research interests are located at the intersection of contemporary political philosophy, the ethics of risk and uncertainty, the philosophy of law, and the philosophy of technology. She is currently focusing on the ethics of algorithmic decision-making in democratic institutions. First, she is interested in the concept of algorithmic injustice and its relation to (i) discriminatory harm and (ii) unfair distributions of risk. Second, she is investigating the question of whether automation can be inherently morally objectionable irrespective of decision-making outcomes, for instance when automated decision-making processes express disrespect for the equal status of persons, or when automation significantly decreases public accountability. Third, Dr Zimmermann is developing a philosophical account of the connection between transparency, explainability, and normative justification in the context of algorithmic decision-making. Dr Zimmermann is also interested in engaging with law- and policymakers when it comes to making the law more sensitive to ongoing transformations in the area of digital technology. She recently submitted expert evidence to the UK Parliament’s Public Bill Committee concerning the widely discussed ‘Upskirting Bill’, arguing that current anti-harassment legislation ought to be much more responsive to how people currently use digital technology to perpetrate different forms of image-based harassment online. In this context, she proposed a new policy solution which is more responsive to key democratic values such as privacy, autonomy, and consent. Dr Zimmermann received her DPhil (PhD) from the University of Oxford, where she completed a dissertation on democratic theory (“Democratic Enfranchisement Beyond Citizenship: The All-Affected Principle in Theory and Practice”) at Nuffield College. She also holds an MPhil from the University of Oxford and a BA from the Free University of Berlin.